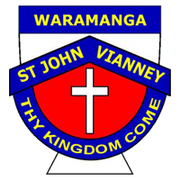 Community spirit is well established within St John Vianney's Primary School. The Community Council embodies this community spirit, working with the Principal, Parish Priest, staff and nominated parents who represent and provide leadership to the wider school community. The Council has a decision-making role in certain policy areas and an advisory role in others. The policies of the school are always set within the mission of Catholic education. The Community Council undertake projects to assist in the development and maintainance of SJV.